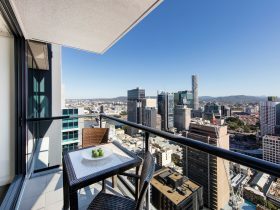 Pullman Brisbane King George Square sets the benchmark in luxury accommodation. 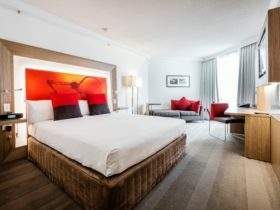 Choose from the upscale style of the rooms and suites in the Pullman tower or the warm, convivial vibe of the accommodation in the Mercure Tower. 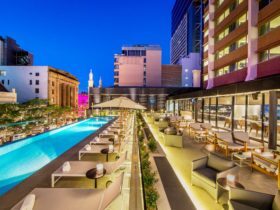 The hotel is also the home of Sixteen Antlers Rooftop Bar, a sleek and inviting rooftop space located on the 16th floor of the Mercure tower. The new look lobby has received a complete upgrade with bold splashes of colour and contemporary furnishings to fill the space. A new and interactive way of checking in and out, as two check-in pods focus on a dramatic centrepiece. A connectivity lounge, e-concierge facilities and the Executive Lounge are also among the transformations. The Pullman Executive Lounge is tailored to the business or leisure guest seeking a complete Pullman experience. With a restaurant, bar, café, 24 hour room service, rooftop pool, gymnasium, undercover parking, concierge, and grand lobby. 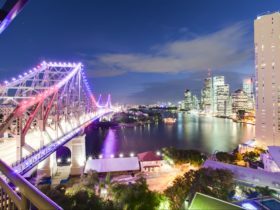 It is ideally located in the heart of Brisbane’s central business district, and within walking distance to Brisbane Convention and Exhibition Centre, Casino, Botanical Gardens and the theatre, restaurant and arts precinct of South Bank Parklands. Pullman Deluxe Guestrooms offer either a King or Twin (two Queen beds) configuration and clever design with sleek and modern decor. The rooms have undergone a sophisticated makeover in line with the Pullman standards. Upgrades include, new carpet, plush bedding packages and oversized leather chairs. A charcoal and white colour scheme with new waffle weave bathrobes and upscale CoBigelow amenities complete the new look. 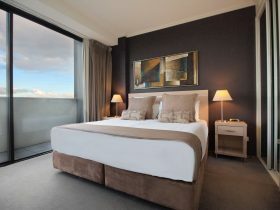 Pullman Deluxe Balcony rooms offer either a King or Twin (two Queen beds) configuration and clever design with sleek and modern decor, a balcony with table and chairs to relax while taking in the views of the city. A charcoal and white colour scheme with new waffle weave bathrobes and upscale Roger and Gallet amenities complete the new look. Elegantly appointed rooms with plush bedding. 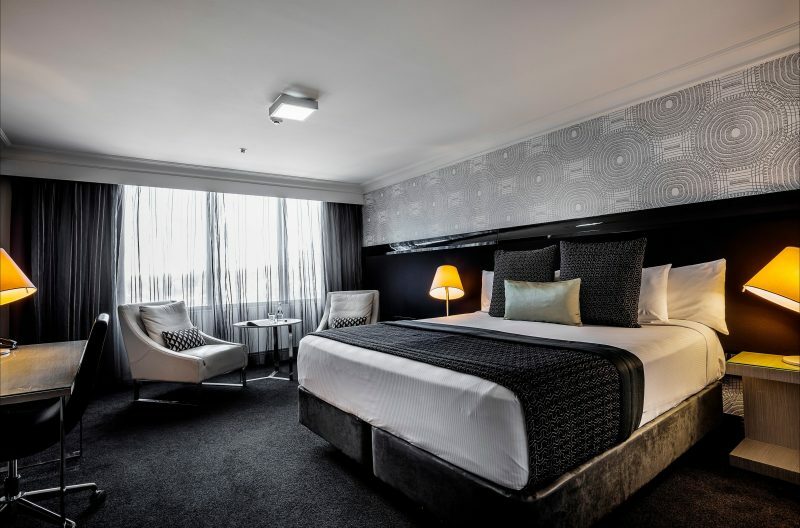 Pullman Executive rooms offer either a King or Twin configuration and clever design with sleek and modern decor. The rooms have undergone a sophisticated makeover in line with the Pullman standards. 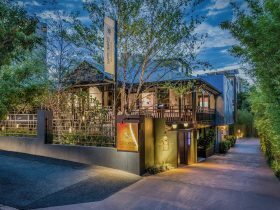 Upgrades include, new carpet, plush bedding packages, oversized leather chairs, a charcoal and white colour scheme and upscale Roger&Gallet amenities complete the new look. The Executive rooms include priority check-in, complimentary wireless internet, waffle weave bathrobes and slippers, as well as a bottle of water, mini-bar item, and fresh fruit replenished daily. Executive rooms also includes access to the Pullman Executive Lounge, where guests are served complimentary continental breakfast (including two hot dishes), daily refreshments and drinks (including selected spirits) and canapes of an evening. Pullman Spa Suites offer a King configuration and clever design with sleek and modern decor. Along with the standard amenities of the Pullman Deluxe rooms, the 1 Bedroom Suite has a separate lounge area, large bathroom with spa and includes access to The Executive Lounge. The Executive rooms include priority check-in, complimentary wireless internet, waffle weave bathrobes and slippers, as well as a bottle of water, mini-bar item, and fresh fruit replenished daily. A stay in an Executive rooms entitles the guest access to the Pullman Executive Lounge, where guests are served complimentary continental breakfast (including two hot dishes), daily refreshments and drinks (including selected spirits) and canapes of an evening. Fit for a king, the Prince George Suite offers beautiful views over King George Square and St John’s cathedral and features a separate living area, dining room and luxurious master bedroom with ensuite with signature amenities. 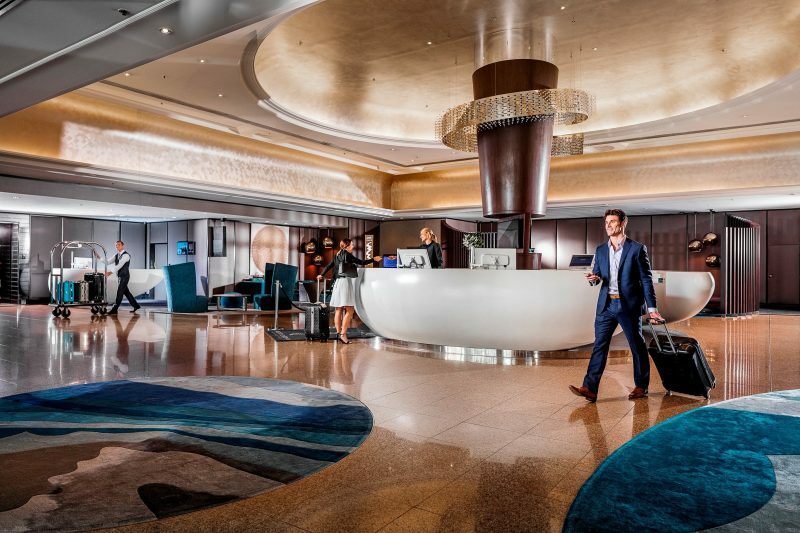 Pullman Brisbane King George Square sets the benchmark in luxury accommodation. Please note there is only one Prince George Suite. Prices subject to availability. Prices fluctuate according to market conditions and peak periods. Terms and conditions apply.